We recently supplied the exterior seating for the Doncaster National High Speed Rail College . We chose some of our classic bench designs for the building. Including the Port, the Slab Side and the Wrap Benches. 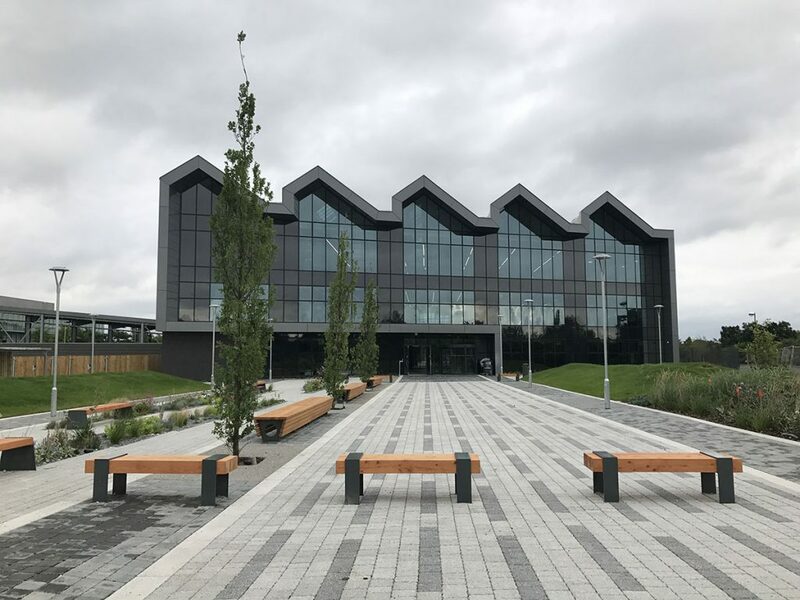 The benches were supplied in Larch and the architects Ral colour powder coat finish on the metal legs, which was the same colour as the main building’s cladding. The benches were root fixed and the paved surface cut in around the legs. The result worked very well. As ever, we were happy to alter the size of our work to fit your needs. Get in touch today.